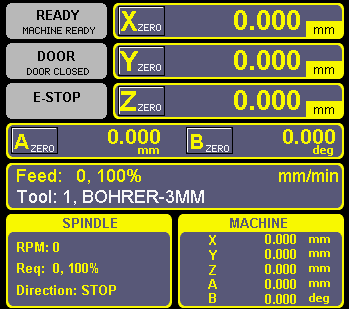 Easily control Spindle & Coolant from screen even while running a program. Added option to display A & B work offset values including ZERO option. 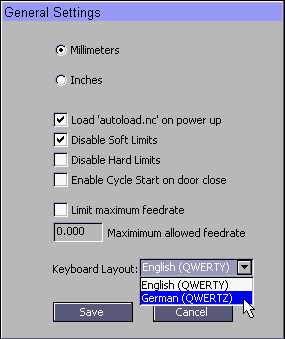 Added support for German (QWERTZ) keyboard layout. 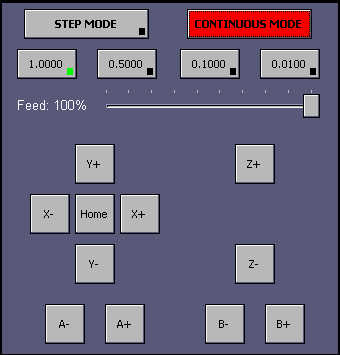 Changed the “Continuous Mode” flashing to red colour to visually alert user that the machine is on Continuous Mode. Added “Cancel” buttons in F1-Setup windows. Axis loosing position during probing cycle – bug fixed. Jump to line / resume (CTRL +J) – fixed issue with program resuming from wrong location when using temporary work offsets. Keyboard double character typing – bug fixed.